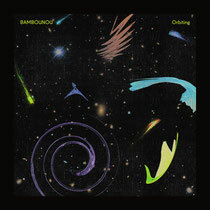 After his single release, ‘Cobe EP’, on 50WEAPONS Bambounou will now release his debut album, 'Orbiting', on November 23. Featuring 12 tracks in total, kicking off with ‘Hyper’ and finishing with ‘Orbiting’, the album has been put together with a space theme running through it. Check out a snippet of ‘Any Other Service’ below. Bambounou: "Hi, I am Bambounou (Jeremy Guindo). I live in Paris, China Town. This is also where I grew up. I am now 22 years old. "Orbiting" is my debut album. The main influences for my music are African rhythm grooves, Chicago and Detroit house artists like DJ Funk, DJ Slugo and of course the Dance Mania label. I am also really inspired by UK dubstep, UK funky and techno. As 50Weapons is really mainly a club music label, I didn’t want to do a pop album with real songs. This is why I chose to have no singers or any ‘proper’ lyrics featured on it. I started with quite a minimalist approach. I essentially wanted to have some key techno tracks mixed with some serious dancefloor bangers. Even though I feel the tracks are all quite different within their own right, they still come under the umbrella of ‘90s house and techno mixed with some kind of bass music. I have a running theme throughout, which is Space (Orbiting)."